Many Homer Simpson "D'ohs" at start of vocal jam. This show marked the first performance of Glide. The final verse of Runaway Jim was omitted. Trey teased portions of Esther during the Buried Alive jam segment. The second set was preceded by an announcement that cars blocking the alley outside would be towed. 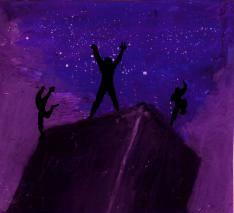 It led to some humorous vocal interplay among the band members. 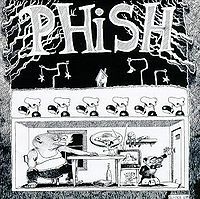 Before his vacuum solo in I Didn’t Know, Fish was introduced as “The Earl of Sandwich.” The start of the YEM vocal jam contained many Homer Simpson "D'ohs." Fish quoted Setting Sail at the end of the vocal jam. 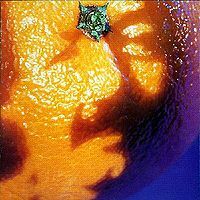 Show was without a review so i decided to give it a spin on its 24th Bday. The AUDs available sound solid, nice balance, clean vocals, even if it sounds somewhat distant. Very listenable despite some mild diginoise scattered at the end of the first set. The opening Jim doesn't suffer too much from the missed lyric and is its typical shredding type 1 opener self. Cavern enjoys a very spirited and confident vocal performance by Trey, typical of the era, and is indeed very typical otherwise and short. 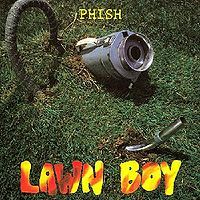 The Reba begins mildly sloppily, and the chattery in the tape makes it suffer worse, but heats up well enough to a mild version, with a quite reserved solo by Trey, getting a lot of help from Mike and Page to bring it home resoundingly and with a well whistled ending. The Buried Alive > Esther > Tweezer is what i was most excited about in set one from reading the setlist, and the mashup of the melody of the Esther solo in Buried Alive works damn well. The crowd is mostly kind during Esther so it's not impossible to listen to. The ten minute Tweezer is nice and red hot, easily the highlight of the show so far, and reaches an incendiary moment a couple of minutes before the slowdown that ends so many early versions. Paul and Silas makes a nice appearance here, a great bluegrass "breather" featuring some more Trey shredding, before It's Ice gets some attention. 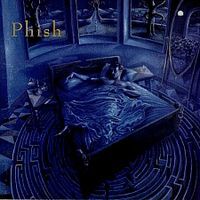 The third time played in as many nights after its debut, all three of which are on the chart, this one has an exciting "skating" interplay that sets up an intense "OW" and the pulled down segment features some fine Page work on the electric piano. The multiple Thank Yous afterwards are zany hilarity which presage IDK excellently, featuring the Earl of Sandwich on electrolux himself. Llama makes a helluva set closer, and this one does just that as Trey absolutely melts the song's solo. All in all, a first set i would not have minded hearing one iota! The second set begins with an announcement about getting towed which becomes a vocal exercise of sorts, that occurs while the song is tuning up. The Possum here is charted, and no way i can disagree with that because this one is all good, played on the sixth anniversary of its debut. Tela sounds pretty fair here, no flubs, quiet enough crowd, and sets up Sparkle pretty well. Sparkle was debuted the same night as It's Ice and was also played for the third night in a row here. The Split Open and Melt is short, not even 8 minutes, but still features a tight romp by the whole band in a much less dissonant style than one expects, with really delicious rhythm section control here. This Mango Song is definitely swell, nice lilting solo from Trey before it builds out to its crescendo and cartoonish close, which is nailed perfectly. Dinner and a Movie fits really well in the set here, and the dynamism and circus darkness that all early versions share is in full effect at a tempo that is dangerous when played so tightly, and the sharp focus continues through Oh Kee Pa. The Suzy here is another example of the pure fire variety, with excellent band interplay and a lot of intensity in the tempo, complete with an even stronger variety of vocal hilarity than is par, and the page solo to close it gets down and dirty with Mike and Fish comping perfectly. It's unfortunate there was a tape cut. So much is happening in these five minutes as to be nearly astonishing. This Suzy gets my highly recommended nod. Gonna shoot an email to @jamcharts for it, for shits and giggles. With nary a breath, YEM begins. At this point, i'm now thinking this was totally worthwhile and feel rewarded for the effort. YEM is solid through the tramps, and Page's work on the organ is really clean. 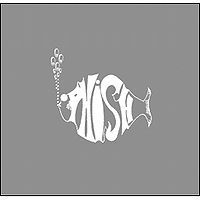 The punch that he is getting from Mike and Fish here again harkens to the power of the Suzy and carries really well into Trey's solo, which smokes a pack and sets up Mike for a ferocious pace in his solo. The vocal jam that follows, featuring a lot of dohs as a basis, is pretty choice as far as early vocal jams go. To close out the set with Tweezereprise does it all justice, because it deserves that kind of pyrotechnics on the icing of the cake. Glide's debut seems fitting for a small celebration such as this show, capping a really solid three show run to open 91's Fall Tour. I've listened to the next night before, and now i wanna check out all of September 91. It's clear the time that created It's Ice, Sparkle, and Glide were powerful and good for the band as they worked toward releasing Picture of Nectar and Rift beyond. I rated this a 4 without reservations.